A dead trolling motor battery is one of the quickest ways to ruin your fishing day. But most boaters wait until their trolling motor battery dies before replacing it. While the battery is a simple relatively inexpensive device, it is critical. It represents the heart and blood of a trolling motor. If it doesn’t work, you can’t go anywhere and the only way is to fish from a dock. When you’re thinking of buying a new battery for your trolling motor, it’s important to do a research before making your decision. You would think that you could just walk into your local marine store and buy any marine battery and it would work fine, right? Wrong! There’s more to choosing the best battery for your trolling motor than you might think. Actually, most marine batteries are designed to both provide energy for devices of the boat and starts an engine including a trolling motor. But if all you want to do with the battery is to power your trolling motor, using any typical marine battery that you don’t really know about it may be the wrong decision. When it comes to selecting the best trolling motor batteries, there are a few important things you’ll want to consider: battery type, battery capacity and runtime, weight and group size. This guide will give you everything you should know about selecting a new battery for your trolling motor and some helpful tips you won’t find anywhere else. And we’ll also review some of the best trolling motor batteries on the market. But if you don’t have time to read, check out our top two picks below – they are our favorite batteries for trolling motor and could save you big in the long run. Read More: What’s the Best Bow-Mount Trolling Motor? The absolute best battery for trolling motors is the Odyssey Trolling Thunder Marine Dual Purpose batteries that are 100% MADE IN THE USA. These AGM batteries are the top-rated deep cycle batteries on the market and will provide an excellent deep cycle power to your trolling motor. They have longer cycle life than most other conventional deep cycle batteries and can be recharged extremely fast. If you buy your trolling motor from Minn Kota or Newport Vessels dealers, most of them would recommend Odyssey or Optima BlueTop batteries. Both are some of the best deep cycle marine batteries on the market, but if all you want to do with the battery is to provide DC power to your electric trolling motor, Odyssey’s batteries are much better and will give you more runtime. In addition, all Odyssey’s batteries are 100% made in the USA, while most of the Optima batteries have been producing in Mexico. If a lightweight trolling motor battery is what you’re looking for, consider the Battle Born Batteries 100Ah Deep Cycle Battery. This is a heavy-duty lithium-ion battery but extremely lightweight. It’s one of the lightest trolling motor batteries on the market. At only 29 lbs, it packs the power of a 140 lbs lead acid battery and lasts 10 times longer. Dual Purpose vs. Deep Cycle … Which should I choose? Understanding the differences between deep cycle and dual purpose is key when purchasing a battery for your electric trolling motor. In the world of trolling motors there isn’t a need for a starting type battery at all as the motor is run by battery alone and doesn’t start any sort of gas powered motor. A deep cycle battery is called upon to deliver a long, slow discharge of fewer amps for several minutes or hours to run a trolling motor. In this case, the power comes from deep within the plates, not merely off the surface as in a starting battery. Therefore, deep cycle batteries are specially engineered with heavier, thicker plates with fiberglass reinforcement, special power-producing active material and special heavy-duty separators. With these features, deep cycle batteries can withstand the potentially damaging effects of continual deep discharge and recharge. Therefore, they are the best choice for trolling motors and also the most used batteries in RVs or solar power systems where there are many heavy-load appliances or accessories that need power from batteries. What’s the best deep cycle battery for my RV? 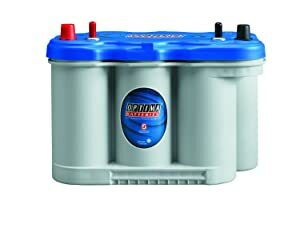 Compared to a deep cycle battery, which is designed to provide a steady amount of current over a long period of time. A dual-purpose battery is designed to deliver whether powerful cranking amperage for easy starting or low amp draws service for reliable auxiliary power. It’s a perfect compromise between the unique demands of starting service and deep cycling, low amp draw service. Dual-purpose batteries are used in most marine applications, especially for boats with one battery bank that does double-duty for house applications and engine starting. However, they may not the best options for every trolling motor. Although a dual purpose battery is a “2-in-1” battery, it doesn’t always allow a trolling motor to perform at the same level as a deep cycle battery would. Many cheap dual purpose batteries can also be more prone to overheating in harsh conditions. We generally advise that you choose a deep cycle battery for best performance and battery life, but there are a few dual-purpose batteries that will work really well with your trolling motor. 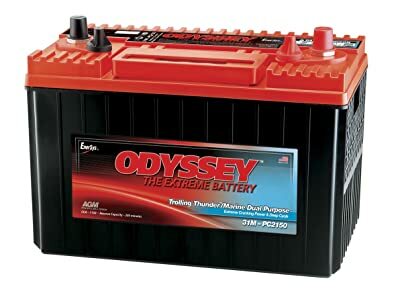 Odyssey Trolling Thunder Marine batteries and Optima BlueTop batteries (light gray case) are named as a dual-purpose battery and can be used for both starting and deep cycling. But unlike other conventional dual-purpose batteries, they’re a true deep cycle battery with extremely high cranking power. This means when these batteries are used to run a trolling motor, they work like any other deep cycle batteries or even better. Once you are sure you’ve chosen the right type of battery, you are halfway through selecting the right one for your trolling motor. The next step is choosing the type of battery chemistry you want to run your trolling motor. Batteries are available in in four chemical types: flooded, gel, AGM (Absorbed Glass Mat) and Lithium. Which type you choose is based on your needs, the capacity and lifespan you are looking for and your budget. For best performance and safety reasons, we’d suggest using only two types: AGM and Lithium (LiFePO4). AGM (Absorbed Glass Mat) batteries are the most popular trolling motor batteries. They have no special charging requirements and need no more maintenance than perhaps a seasonal post and terminal cleaning. AGM provides good electrical reliability and quicker recharging than other types, allowing the user to put them back into operation sooner. With the electrolyte absorbed into a spongy, mat-like material, AGM batteries are generally similar in weight or only slightly heavier than flooded batteries of similar capacity, though some such Optima’s batteries, with its exclusive Spiralcell design, can be lighter. The completely sealed, valve-regulated AGM battery eliminates gas emissions and acid leakage for longer and safer battery operation. The battery is also able to stand up well to very low temperature. Long life, a low self-discharge rate and outstanding performance make AGM batteries the best trolling motor batteries for fishers who require reliable deep cycle ability, fast recharging, and the safest operation. However, AGM batteries have a big disadvantage: they are sensitive to overcharging. Overcharging may damage the battery seriously and you’d have to buy a new one. The charging of AGM batteries is different to that of the car batteries. The voltage required to charge them is greater, therefore you will need to replace the original car battery charger if it is not programmable to charge AGM batteries. 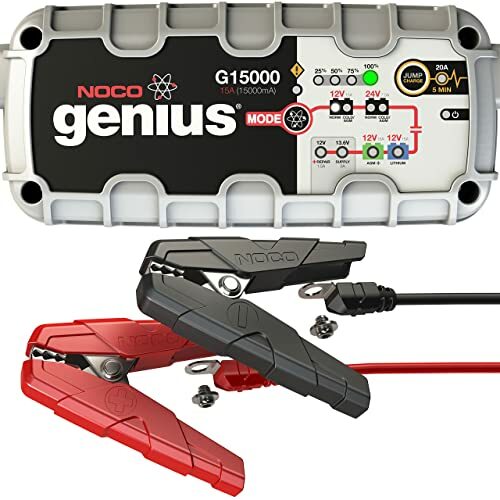 But there is an easy way to solve any risk of overcharging, using the NOCO Genius 12V/24V UltraSafe Smart Battery Chargers. These are some of the safest and most advanced smart chargers for trolling motor batteries on the market. More and more trolling motor owners are switching to this type for a performance improvement over AGM batteries and due to the fact that lithium batteries are extremely lightweight which are perfect for using on a small boat or inflatable boats. Lithium Iron Phosphate (LiFePO4) batteries, like this Battle Born Batteries 100Ah Deep Cycle Battery, have a high energy density and are perfect for cyclic applications. They offer savings of up to 70% in volume and weight compared to traditional lead-acid batteries, with ten times as many charging cycles (3000-5000 cycles). One of the main advantages of lithium-ion batteries is that they don’t suffer from a problem known as “memory effect”, like AGM batteries. AGM batteries “remembered” the last charge when they were recharged, and then returned only that last part of the stored energy. It was actually hard to recharge them unless they were fully discharged first. As Lithium batteries don’t suffer this problem, they can be recharged even if they are not fully discharged, without produce any negative effect on their health. The biggest disadvantage of lithium batteries is its high price tag. A good lithium battery can cost you up to $1000, while your trolling motor was just a few hundred dollars. Flooded batteries are certainly not the best deep cycle batteries for your trolling motor. They are the least expensive and often have the highest capacity rating. But there are several disadvantages that make them not suitable for trolling. First, unlike other types, flooded batteries contain a liquid in an unsealed container. This means that the battery must be kept upright and in a well-ventilated area to ensure safe dispersal of the hydrogen gas produced by the battery. However, we often use the trolling motor in a fishing boat and putting batteries into a battery box, like this MinnKota Trolling Motor Power Center, is necessary to avoid water damage. Do you think that putting a flooded battery in such sealed box is a wise decision? Second, flooded batteries require maintenance, they must be cleaned and watered regularly. Water is lost from the electrolyte during gassing, and it must be replaced to avoid damaging the battery. If you aren’t willing to do this relatively easy maintenance, choose another battery design because these batteries probably won’t last a season without proper care. Gel batteries are the least popular of the sealed, maintenance-free designs, but some boaters think they are the best. They are generally more expensive and heavier than other types with a similar capacity. Gel battery manufacturers claim that this technology has the longest shelf life and the lowest level of self-discharge. Gelled electrolyte also can’t stratify as can occur with flooded-cell batteries, in which the acid-heavy electrolyte falls to the bottom of the plates. As a result, gel batteries tend to be more efficient. The most frustrating thing about using gel batteries is that these batteries tend to have VERY NARROW charging profiles. 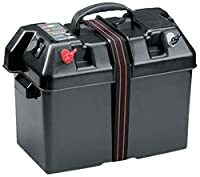 Charging a gel battery with a lead acid charger is risky, since gel batteries require constant voltage charging, versus taper charging provided with lead acid chargers. When choosing the best trolling motor batteries, the most important ratings on a battery’s label that you should look at are RC (reserve capacity minutes) and amp-hour. 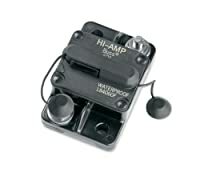 The RC rating is more accurate when the battery is used for high amp-draw trolling motors. The amp-hour rating gives a clearer picture of how long a battery can carry lighter loads or how long your trolling motor can run off the battery. The RC rating is the number of minutes that a new, fully-charged 12-volt battery at 80 degrees (F) can carry a 25-amp load and maintain a minimum voltage of 10.5 volts. The amp-hour rating tells you the number of amps that a new 12-volt battery at 80 degrees (F) can deliver, multiplied by the number of hours, without falling below 10.5 volts. More amp-hour (or RC) is better in every case. Within a BCI group size, the battery with higher amp-hour (or RC) will tend to have longer lives and weigh more because of thicker plates and more lead. Most manufacturers will only list a motor’s maximum amperage draw at top speed, so you may need to estimate other amperage draws at various speeds using the max speed amperage draw as a baseline. For a general idea of approximate amperage draws by motor size, please see the chart below. Unlike an outboard engine, a trolling motor’s power output is measured in pounds of thrust, rather than horsepower. The higher the pounds of thrust, the more powerful the trolling motor is. Most small and medium trolling motors (less than 70 lbs of thrust) from top providers such as Minn Kota and Newport Vessels will operate with any deep cycle marine 12 volt battery. Larger trolling motors (70 lbs of thrust or more), such as Minn Kota Maxxum 70 Bow-Mount Trolling Motor, may require 24V or 36V batteries for more power at the propeller. Clearly, a 36 volt trolling motor that’s rated at 100 pounds of thrust is a lot stronger than a 12 volt trolling motor with 40 pounds of thrust. Since most trolling motor batteries are rated at 12 volts, you will need 2 or 3 batteries for setting up a 24V or a 36V system. Most of high amp-hour AGM batteries are relatively heavy. Therefore, putting two of these on your small fishing boat may cause problems to the balance. 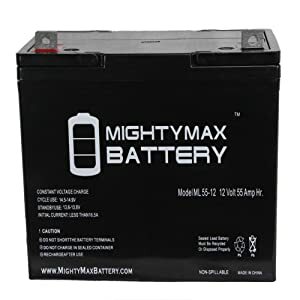 So we would suggest that you buy lithium-ion or light AGM batteries for your trolling motor, such as Mighty Max Battery 12V 55Ah Deep Cycle AGM Battery. This one is extremely lightweight, at only 38.5 lbs it can provide up to 55 amp-hour. It’s also one of the cheapest trolling motor batteries on the market. Like an athlete that is both a sprinter and a long distance runner, the ODYSSEY 31M-PC2150ST-M Marine Dual Purpose battery has both massive starting power and amazing deep cycling capability – up to 400 cycles at 80% depth of discharge. With twice the overall power and three times the life of conventional marine batteries, the ODYSSEY battery is one of the best AGM batteries on the market for trolling, starting and for powering the many on-board electronic accessories common in boats and recreational vehicles. Odyssey Batteries has two facilities: one in Warrensburg, Missouri USA and one in Newport, Wales United Kingdom. According to the company, this AGM marine battery is made in the USA. Odyssey makes top-of-the-line marine batteries in the industry. They employ the DRY CELL TECHNOLOGY that is found is many popular spiral-wound batteries, which allows the battery to be mounted on any position except directly upside down. The dense virgin lead plates that ODYSSEY batteries use avoid the dead space that plagues the spiral wound design, and results in 15% more plate surface area. Odyssey’s “secret” ingredient in their high performance batteries is virgin lead. Virgin lead plates can be made thinner and still be stronger than their lead-alloy cousins. This ODYSSEY 31M-PC2150ST-M battery is capable of providing engine cranking pulses in excess 2150 amps for 5 seconds and has the CCA rating of 1150 – double to triple that of equally sized conventional batteries, even at very low temperatures. And it can handle 400 charge-discharge cycles at 80% depth of discharge. 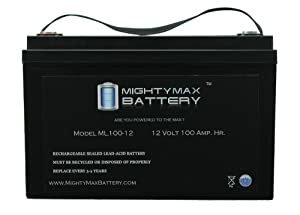 If you’re looking for an inexpensive trolling motor battery with a high capacity, consider the Mighty Max ML100-12 AGM battery. This is one of the cheapest and best deep cycle batteries for trolling motor. It’s also slightly lighter than Odyssey’s and will fit perfectly into Minn Kota power center. The BLUETOP high-performance AGM battery is the best marine battery for boats with trolling motors and extensive electronic systems, and works well as an RV battery for RVs with creature comforts that tend to drain batteries quickly. It’s a true deep cycle battery with extremely high cranking power. With exceptional running time, outstanding vibration resistance, and more recharges than you’d get out of any other traditional deep cycle battery, this battery is the perfect choice for those who need a reliable deep cycle power source that can work well in any kind of harsh environments. The feature that makes Optima BlueTop batteries some of the best trolling motor batteries is its exclusive SPIRALLCELL TECHNOLOGY. One of the biggest advantages of Optima batteries is that these batteries can be recharged very fast – faster than most other deep cycle batteries. With a 25 amps smart charger, the Optima Batteries 8027-127 D27M can be recharged from zero to 90% in just 185 minutes. Recharge time will vary according to temperature and charger characteristics. 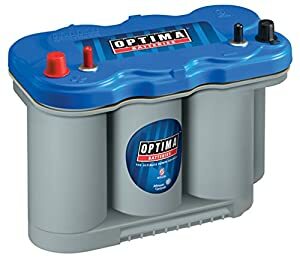 But if you’re going to buy Optima BlueTop batteries for your trolling motor, consider charging them with Optima Digital 1200 12V Performance Battery Charger and Maintainer for fastest charging time and battery life improvement. 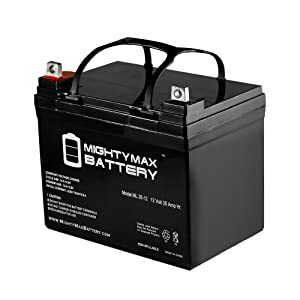 The Mighty Max Battery 12V 35AH Light Battery is one of the most popular batteries for 30-40 lbs trolling motors. This AGM battery is extremely lightweight (only 23 lbs) so it’s ideal for inflatable fishing boats with 30lbs Minn Kota trolling motors. With 35 amp-hour of capacity, this battery is able to run a 30 lbs trolling motor in 2-3 hours at medium speeds. You can wire 2 of these batteries in series to have a 24V battery system or you can also wire them in parallel to get more electricity from the 12V system. LiFePO4 lithium-ion batteries are the safest, strongest and most reliable RV deep cycle batteries available. They outperform and outlast all other types of deep cycle batteries. 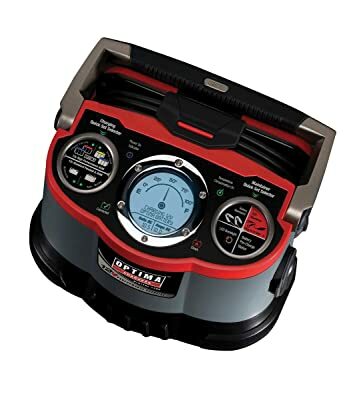 The Battle Born Batteries 100Ah LiFePO4 12-volt Deep Cycle Battery is 100% MADE IN THE USA and is one of the best lithium-ion batteries for trolling motors on the market. This battery is super light, it weighs only 29lbs and provide up to 100Ah of deep cycle power. It’s designed to last 3000 cycles up to 100% depth of discharge, at which point the battery will still hold 75 to 80% of its energy capacity. Nothing is more aggravating than running out of power on the water just when the fishing is hitting its peak. You’ll have no worries about that with this helpful Digital Battery Meter. The LCD shows the voltage level of any 12-volt battery and the state of the charge remaining is indicated by four color- coded lights. Its compact design means you can keep it handy or store it easily. The trolling motor power center is ideal for small boats without a battery compartment. 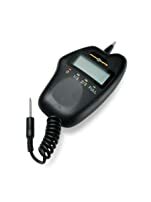 It has easy to access external battery terminals that allow trolling motor leads and charger leads to be connected without opening the box. Circuit breakers are not only great insurance for protecting your new motor, but they are also required by the Coast Guard for ungrounded current-carrying conductors. If a prop is caught on an underwater object (rock, log, thick weeds, etc) and prevented from rotating, the motor will respond by using more and more power from the battery in an attempt to turn the shaft. If this goes on for too long, the high level of current will permanently damage the motor, usually resulting in a completely totaled motor. The type (voltage and current rating) of the circuit breaker must be sized accordingly to the trolling motor used (see the chart above). 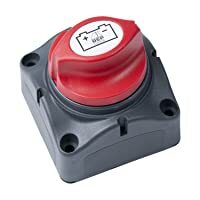 A great little device that can be used as a safety and security measure is a battery switch. 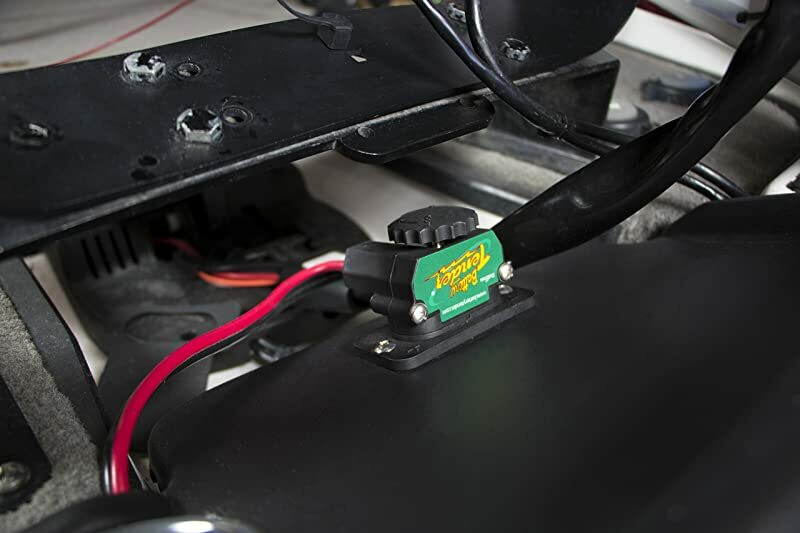 By installing this, you can shut off the power from the battery so the trolling motor will not start.